These heavy duty, slotted plastic key tags are numbered for fast identification in any slotted rack system. You can even write-on these key tags with a pencil, pen or permanent marker! They are pre-numbered in packs of 20 and ready to ship. One hole is pre-drilled for the nickel-plated snap key hooks that are included. The hooks can even hold multiple keys. Great for auto repair shops, dealers, valets and more. 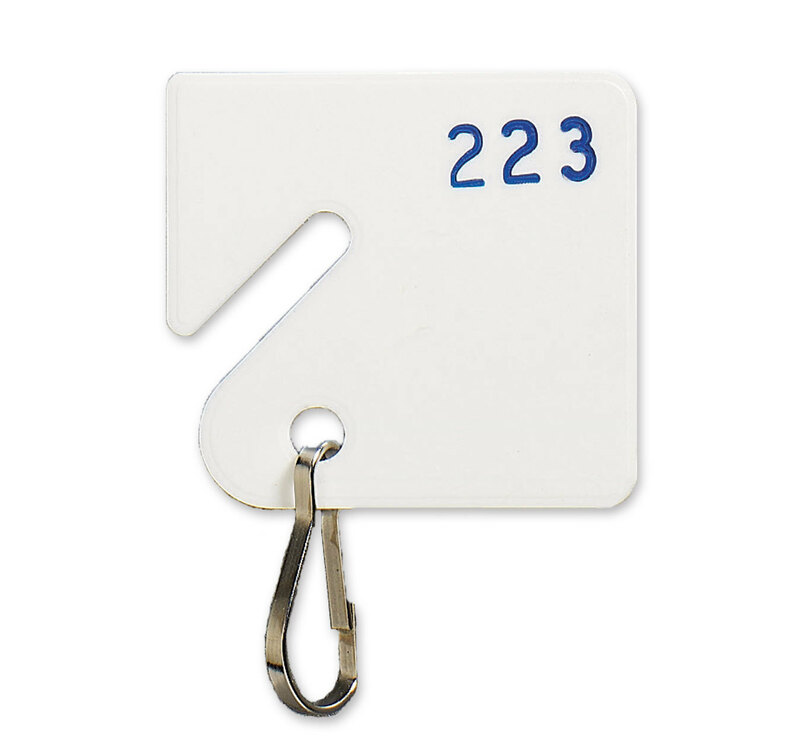 For outdoor use, we recommend metal numbered tags. Request a Quotefor number sequences not shown above.